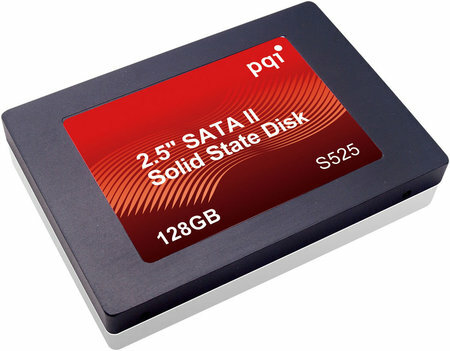 At the2009 CES at Las Vegas PQI will have on display their full range of Solid State Drive (SSD), USB Flash Drive (UFD), Memory Module and Flash Memory Card. Four new SSD products makes their debut ~ 1.8” microSATA SSD S518, Express Card SSD S520, 2.5” SATAII SSD S525 and e-SATA Combo Card S530. 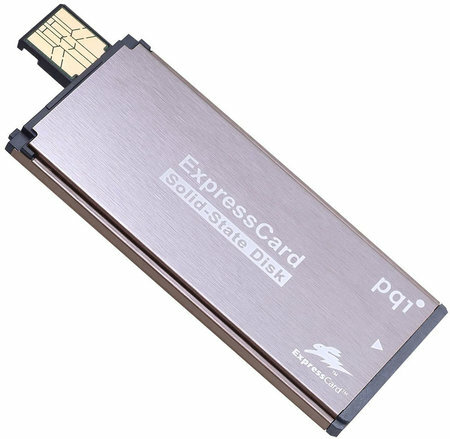 The PQI 32GB Express Card SSD S520 utilizes PCI/E slot and PQI’s patented Intelligent Stick Interface. Users have the option of using it as a USB flash drive or to extend its PC / laptop storage capacity through PCI/E slot. 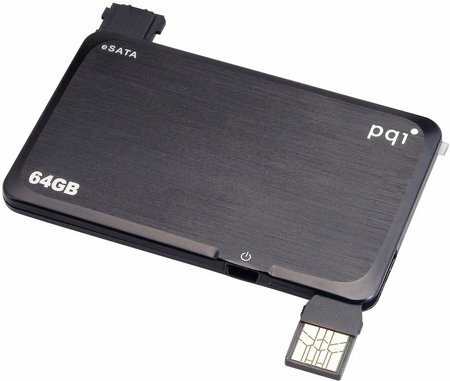 The 64GB e-SATA Combo Card S530 has an e-SATA connection interface and it reaches a maximum read speed of 90MB/Sec. Other innovative PQI products at CES including a series of waterproof USB flash drives and Intelligent Drive i828, winner of Product Design Award ~ 2009 German iF Award. The Intelligent Drive i828 utilizes a clip-on design that allows for users to make use of existing i828(s) to increase their storage capacity, indefinitely.